Looking for a fun, energized and unique competition for a great cause? Do you have what it takes to fight hunger in our community? 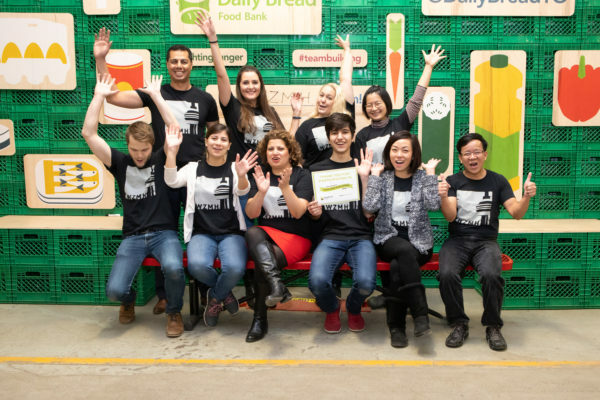 Join Daily Bread’s Food Sort Challenge! 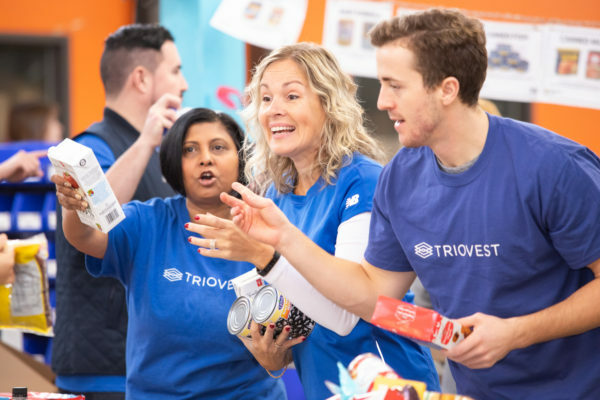 The competition: This event is a competitive test of speed where teams race each other – and the clock – to sort and pack 3,500lbs of food in 90 minutes or less. What’s on the line? The coveted title of Food Sort Challenge Champion! And, of course, bragging rights! With music blasting, a great atmosphere, and your sleeves rolled up, the Food Sort Challenge is a fun day for your entire team. More importantly, your team’s participation has huge impact in the community. All funds raised and food sorted are delivered to over 175 food banks and meal programs across Toronto. Registration fee: $1,500, and each team is challenged to fundraise an additional $1,500. The funds raised will give you an edge in the competition and increase your odds of taking home the Food Sort Challenge Champion trophy! New this year: Raise $1,500 and we will deduct 5 minutes from your final time. How do you win the Food Sort Challenge? What happens after the food sort is over? Does my team need to fundraise? What times are the food sort shifts? What if I want to challenge a rival business or team? What time must my team arrive on the day? 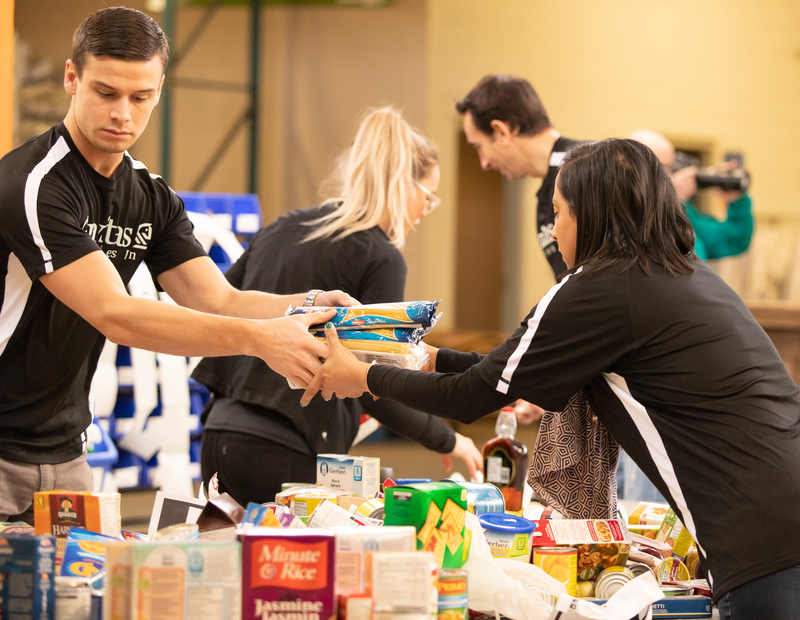 Each team (maximum of 10 participants per team) will be given 3,500 lbs of food to sort, pack, weigh and palletize for a maximum of 90 minutes. Teams will be assigned a Team Captain who will stop the clock once they feel your team is completely done, and will record your finishing time on our leadership board. 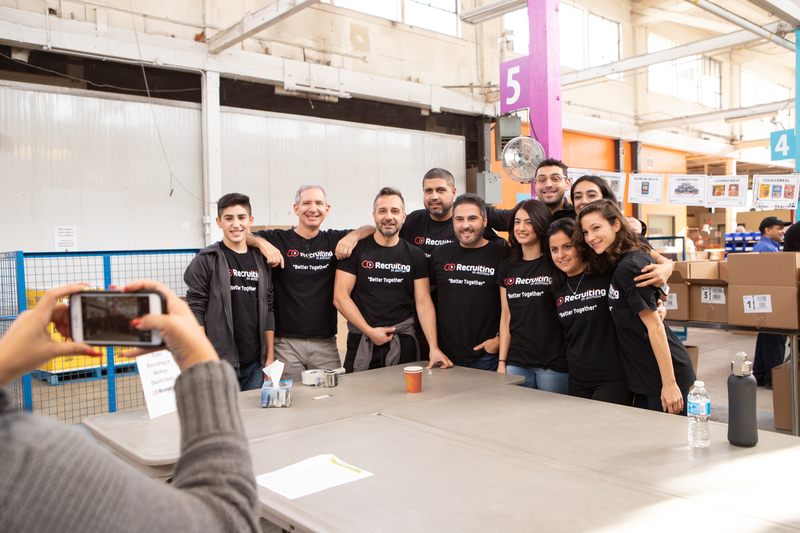 The winning team will be the first to finish before the clock stops and when the sort station is clean, returned to its original state, and all team members are present. Since the competition is continuous, the overall winner can only be determined after the last shift has finished. The winner will be announced after the final shift is completed at the end of the event, and over email and social media. Once the hard work is over, come and mingle with the other competing teams, take photos by our social wall and tag each other and Daily Bread on social media. We will also provide some snacks and a complimentary drink, plus you’ll get an exclusive Food Sort Challenge certificate. Absolutely! For every $1,500 raised, we will deduct 5 minutes from your team’s final time. Once you sign up, we’ll be providing you with a fundraising toolkit with lots of ideas on different ways to engage your staff. There are three shifts to choose from: 8:30am – 10:30am, 12:00pm – 2:00pm and 3:30pm – 5:30pm. There are only 6 teams per shift, so act quickly if you want to reserve your spot! Want to set up a bit of friendly rivalry with another business or team at work? Challenge them to a food sort! Wear appropriate clothing for a fast-paced, active event. Closed-toe shoes must be worn in the Daily Bread warehouse at all times (running shoes are perfect!). Company or team shirts or colour-coordinated attire is encouraged. Ensure that your entire team arrives 30 minutes before the start of your shift to register. Please have your team’s fire sheet and any cash or cheque donations ready upon registration.